The folks at AT&T weren’t kidding when they announced plans to introduce 12 Android devices this year. The company just unveiled five Android smartphones, which brings AT&T’s total Android lineup to 19. The new smartphones are Motorola Atrix 2, Samsung Captivate Glide, Samsung DoubleTime, Pantech Pocket and AT&T Avail (pre-paid customers). 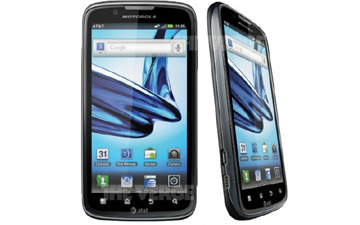 Leading the pack is the powerful Motorola Atrix 2, with a 4.3-inch, 960×540 (qHD) screen, 1 GHz dual-core CPU, 1 GB of RAM, a 8-megapixel camera capable of full HD video capture and an additional camera for video chat. Samsung Captivate Glide, as its name suggests, has a side-slide QWERTY keyboard. It also packs decent specifications: a 4-inch, 480×800 Super AMOLED screen, a 1 GHz dual-core Nvidia Tegra 2 CPU, 1 GB of RAM, and two cameras, a 1.3-megapixel one at the front and a full HD 8-megapixel one at the back. Both devices support AT&T’s HSPA+ fast data transfer standard and both are running Android 2.3. The Pantech Pocket is a mid-range device running Android 2.3, with a 1 GHz CPU, a 4-inch screen, a 5-megapixel camera. To like it, you’ll have to appreciate its form, as the device’s dimensions are 114.7 mm x 7 8mm x 11.3 mm, which makes it a lot wider than most candy bar phones. Samsung DoubleTime is a device for those who want something different. Its specifications are nothing to write home about — a 600 MHz CPU, 3.2-inch screen and Android 2.2 — but its candy bar form opens to reveal a second 3.2-inch screen and a full QWERTY keyboard. Finally, the AT&T Avail is for those that don’t like contracts (the other pre-paid smartphone in AT&T’s roster is LG Thrive). It’s a fairly standard candy bar mid-range smartphone, with Android 2.3, a 3.5-inch screen, a 5-megapixel camera and 512 MB of RAM. Pricing and availability is unknown at this point, but we can expect all five devices to hit the market in 2011.